Here is the 2017 Tangipahoa Parish Portfolio to include in your record books. 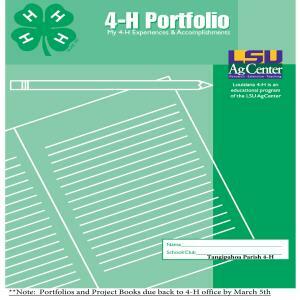 Remember that record books are due to the 4-H office by March 5th, but your leader may have an earlier deadline. Please contact the 4-H office with any questions or concerns.